This entry was posted on Tuesday, December 1st, 2009 at 2:40 pm	and tagged with casa, Christmas, creative, elim, hogar, kenya, photo, photography, sons of lwala, tinsel, tinselectomy and posted in good stuff. You can follow any responses to this entry through the RSS 2.0 feed. That picture really is too hilarious! Thanks for the great examples of your tinselectomy! Maybe it’s the plastic Jesus levitating the Peanuts…IT’S A CHRISTMAS MIRACLE!! look forward to more updates. My trigger finger is getting itchy!!!!! love your tinselectomy examples, also! 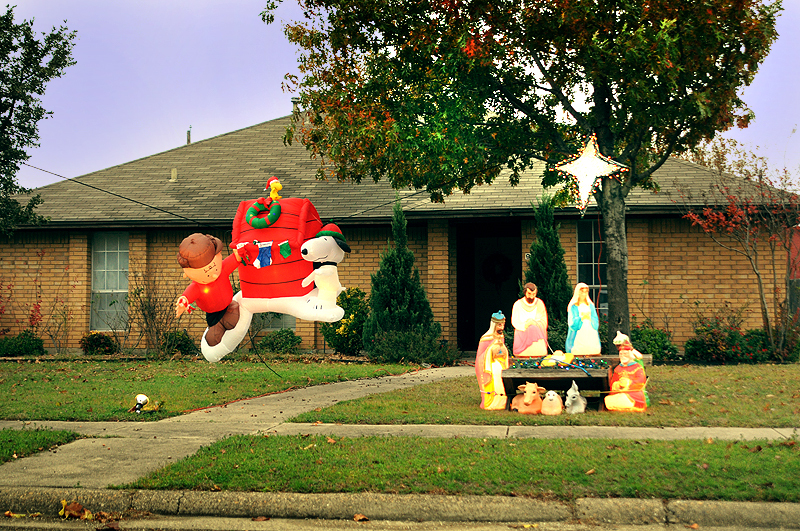 Maybe Snoopy and Charlie Brown are playing the role of the angels in the nativity scence… right?! 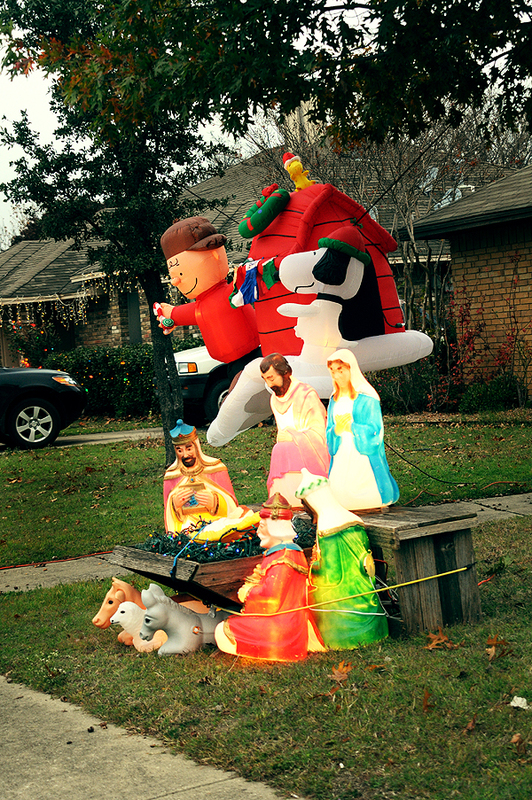 “because inflatables aren’t weird enough just sitting on the ground, let’s bungee it across the walkway so Charlie Brown and Snoopy can hoover over baby Jesus and hit people in the head if they come visit us.” Completely funny! Thanks for your humor & truth!